Toronto’s Fashion Week is held twice a year, and this year the spring and summer 2014 collections were shown from October 21 to 26, 2013. At this year’s showing was Japanese hair and makeup artist, Takatoshi Ozawa (Taca) who belongs to the Redken hair design team at the show. Taca came to Toronto when he was 25 years old, but worked in Japan for many years. “I worked as a colour lecturer all over Japan,” Taca told us during an interview. “That’s why I thought I was the top of colorists and hairdressers in North America. However, I realized I was very egoistical and I couldn’t give people beauty. I became a makeup artist’s pupil who I met at a show to help turn over a new leaf. Fortunately, I could be engaged in the Toronto Fashion Week later,” he said. However Taca rarely goes near the models’ hair in the show, rather he checks everything is just right on a model before he sees them off to the runway. Taca makes it a priority to communicate with all people on his team and to make the show absolutely perfect. Even though what you see on the runway looks like it’s all perfection, Taca says he constantly has trouble coming his way. “Even though we conduct our meetings very thoroughly, trouble would happen mostly from people saying, ‘I don’t like this.’ If that change in one position wasn’t allowed just before a runway, I would have to set them again. But I always try to organize everything with my feeling that I make a perfect show,” he said. “Hair and makeup bring out their characteristics”. It is easy to talk so. 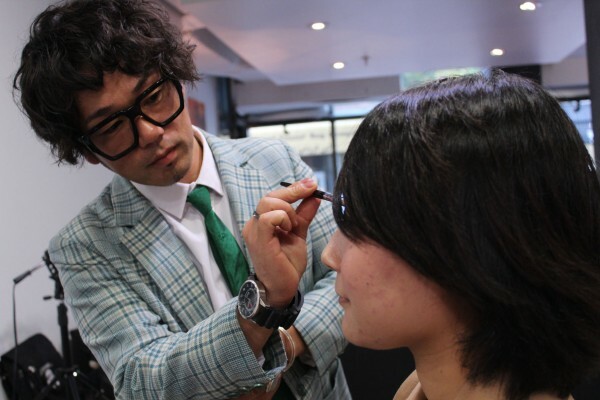 Although there tons of hair and makeup artists out there, why do people choose Taca? “I rather put my individuality than exactly comply with customer’s request,” Taca says. “The reason why I do so is that my works which were regarded as bad in Toronto were accepted, were featured, and were published in New York. And I realized at the time that some really hate my works, others really love them. If I don’t propose new things, everybody would say just like ‘That’s beautiful,’ and would be bored,” Taca expressed a professional attitude toward to his working and his uncompromising nature as an artist. “Think like a fifteen year old,” he says, “Make every single thing that you do great,” he told us. It’s important to think flexibly and to make sure the end result is great every time. These sentiments were told to him by a photographer who Taca respects. 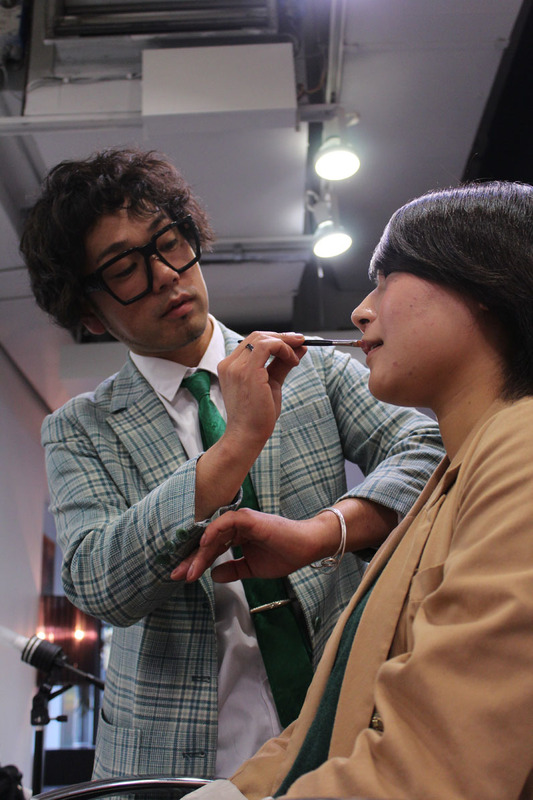 Taca has many opportunities to style hair and makeup in Japan, Canada, and New York, but he’s still finding his footing from an international viewpoint. Taca says that sometimes the stress of the working world can make him feel depressed and even cry. He told us his dream will be hard to realize, but everything is his choice and Taca moves ahead step by step, believing in himself. Taca will keep doing great.